total load theory | After the Diagnosis, Then What? After the Diagnosis, Then What? 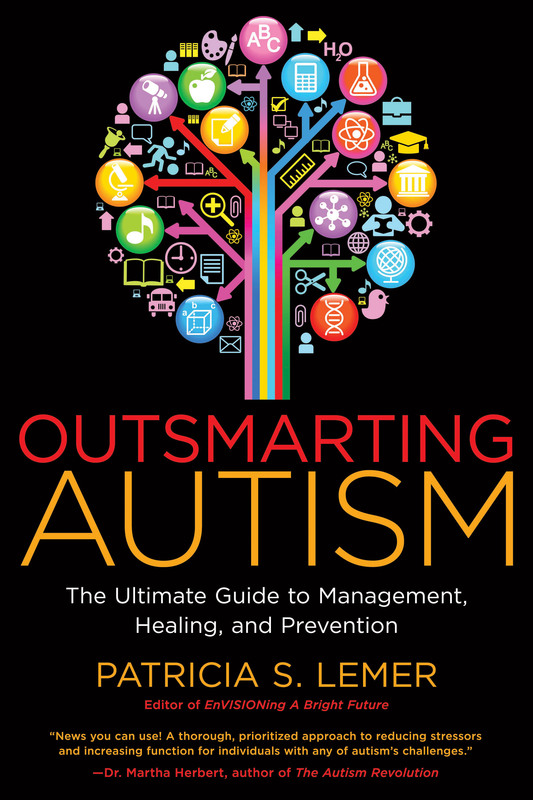 With great excitement and pride I announce the release today of my second book, Outsmarting Autism: The Ultimate Guide to Management, Healing and Prevention. It is available on Amazon in both an e-book and a paperback, as well as from the publisher. As I watched the magnificent spray of fireworks brighten the skies over the Allegheny River in Pittsburgh last night, I secretly thought they were celebrating not just Independence Day, but also this momentous milestone of mine. In 2008, I downloaded 40 years of experience and knowledge from my brain into EnVISIONing a Bright Future, my first book. It contains all that was known then about possible causes, treatments and management of autism spectrum disorders. I never dreamed that just as much NEW information would emerge in the next six years: genomic testing that explains in part why some kids become autistic, and iPads with amazing apps, are just a couple of additions. So…I just HAD to write another book! Outsmarting Autism, like EnVISIONing in 2008, is the most comprehensive book available on what is now called Autism Spectrum Disorders (ASDs). Whether you are new to the world of autism, are familiar with treatment options, or are a veteran who has “been there, done that,” this book is for you! Discoveries about possible etiologies and promising therapies are emerging so quickly that you are sure to learn something new. Outsmarting Autism guides you step-by-step with practical information from a variety of fields that families, specialists, and educators can put to use immediately. Don’t let the book’s mammoth size scare you. Even though it is over 500 pages, I have made it extremely easy to understand, and Cindy Coan’s amazing index allows you to find anything you are looking for quickly and easily. I hope you will read Outsmarting in sequence. If you decide not to, at least read Chapters 2 and 3 on Total Load Theory and how today’s lifestyle has contributed to the autism epidemic, before jumping ahead. Autism did not just show up overnight. We now know the many risk factors, and how to be proactive and prevent more children from becoming affected. Individuals with autism are physically sick, and making healthy lifestyle changes, no matter how overwhelming they seem, can be the difference between management and healing. This book could not have happened without the help and support of so many people. To the owner and staff at Word Association, my awesome editor, Kendra Williamson, and all of my colleagues and friends who contributed material, proofed and edited, and stood by me while I worked every day for the past two years, my deepest gratitude. Outsmarting Autism is meant to challenge some of your beliefs. If you have questions, I have answers. “Like” the book on Facebook, and write me a comment. Go to Amazon and review it. Check out my website at www.OutsmartingAutism.com and see where I am speaking next. I will be launching the book in Denver and Boulder on July 29th. From 3- 5pm I will be at Proactive Wellness and at 7:30 pm at the Boulder Bookstore. In September, I am finalizing dates for New York City, Westchester and New Jersey. Want me to include your town on my year-long book tour? Let me know. Now it’s time to get started. We can outsmart autism together. This is the official Blog of Developmental Delay Resources (DDR) written by Executive Director, Patricia Lemer. It includes some archived material from the DDR Newsletter, New Developments.